We are making a list of the issues we have encountered with the crime tender. Below are the problems we have encountered so far. The link to the personal indemnity forms in the Bravo portal is broken. The forms on the MOJ website make reference to previous contracts rather than the 2017 Standard Crime Contract. May we manually add the 2017 crime contract and remove references to the other contracts? A firm has its office (only office) which is, geographically, on the border of two procurement areas such that it is eligible for inclusion on a duty scheme which falls within one area and is also eligible for inclusion on another duty scheme within a different procurement area. It is assumed that the firm should enter bids in both procurement areas to enable it to join both duty schemes for which it is eligible. Can this be confirmed? For the avoidance of doubt, there is only one office address and this same office address would be used for both procurement areas. If a firm applies to join a duty scheme as part of this tender but later determines, prior to the commencement of the rota, that it doesn’t want to be included on the scheme, may it still accept the offer of a Crime Contract (i.e. to undertake own client work only) or will the entire offer of a contract be revoked. 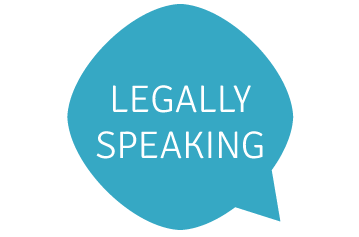 Assuming that the firm may still accept the contract, is there a deadline for confirming to the LAA that the firm does not want to be included on the Scheme. We note in particular, the Standard Contractual position (para 6.8 of the Contract Specification 2017) which requires a firm to provide 3 months notice to be removed from a scheme. This implies that the restrictions on adding new duty solicitors apply only to the April 2017 and July 2017 rotas. Can you confirm that for any subsequent rotas (i.e. from January 2018 onwards) the process reverts to the contractual position (as per para 6.35 of the draft Crime Contract Specification 2017) so that firms may add new duty solicitors to schemes they are a member of (by completing CRM12s at the relevant time) and, as such, that they will be allocated Duty Slots on those scheme when new rotas are next issued. When compiling the portfolio of cases to be included on the supervisor self-declaration forms, the guidance document suggests that files do not need to be publicly funded. It is given therefore that we can use private cases to demonstrate experience. However, the Crime supervisor form (at 3(ii)(b)) suggests supervisors have to demonstrate examples of undertaking Magistrates’ Court representation and advocacy ‘under a Representation Order’. A Representation Order will not be issued for privately funded cases. Can you confirm that supervisors can definitely include private cases in order to meet this and all other case experience requirements in the supervisor form. 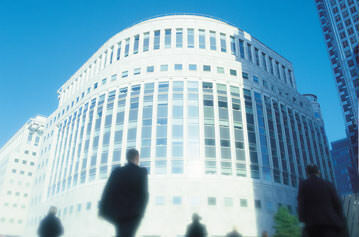 If a firm applies to undertake Prison Law in addition to Criminal Investigations and Criminal Proceedings Work as part of this tender but later determines, prior to the commencement of the contract, that it doesn’t want to undertake Prison Law or cannot meet the supervisor requirements, may it still accept the offer of a Contract for Criminal Investigations and Criminal Proceedings Work only or will the entire offer of a contract be revoked. We are on the outskirts of London and are concerned about the duty solicitor schemes we are eligible for. If we select London borough, the tool works properly but if we use our postcode the appropriate schemes we are eligible to join are missing. Can you confirm that we may manually enter these schemes into the non-macro version of the DIF form.